A: I'm interested in how I can re-appropriate existing web platforms to play with ideas of authorship/ownership - Google Docs is great for this as it allows me to hand over editing rights to anyone that visits the page, they can add text, reformat, make comments or delete everything it if they really want to. As the document mutates overtime I will have to choose what to preserve and what to repair, in some ways the website will become a contemporary ruin and a site of conservation. 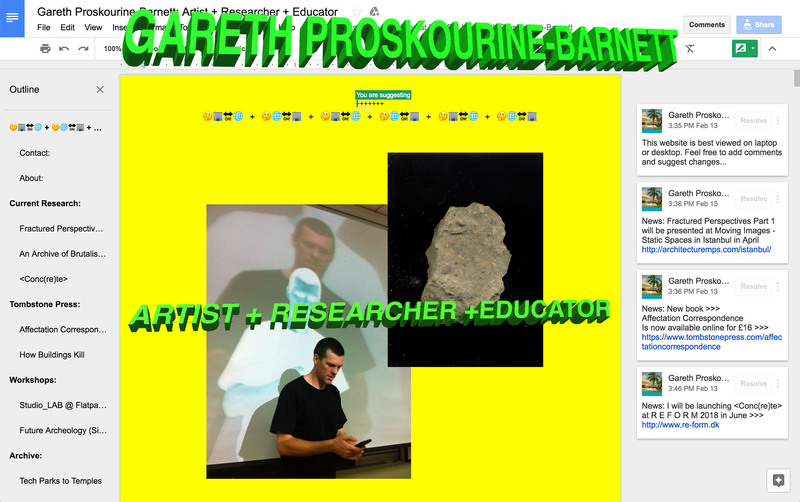 I wanted a website that reflected my current work and research - I think this does the job.